Attention Members every month, a member or members of Deadly Soldiers Gaming will get rewarded with either the Member of the Month, General of the Month, Leader of the Month and as a hole, Team of Month, Division of the Month and Squad of the Month. The Member of the Month goes to DSG XRELOADx X for showing his best effort into Deadly Soldiers Gaming. Thank him for what he has done for Deadly Soldiers Gaming. General of the Month goes to DSG xDRAGON x X for show his best effort into Deadly Soldiers Gaming.Thank him for what he has done for Deadly Soldiers Gaming. Leader of the Month goes to GrumpierAce541 for showing his best effort into Deadly Soldier Gaming. Thank him for what he has done for Deadly Soldiers Gaming. 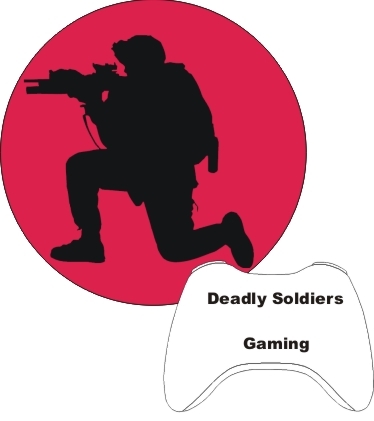 Team of Month go to DSG XRELOADx X, DSG xSTALINx X, DSG xNINJAx X for showing there best effort into Deadly Soldiers Gaming. Thank them for what they has done for Deadly Soldiers Gaming. What games do you play regularly (On any Platform)? Black Ops, MW3, and the force unleashed 2. How did you hear about DSG? What Division and Squad are you interested in joining and why? What games do you play regularly (On any Platform)? How many hours per week do you play? » NEW TIMES For Meetings!!!!!!!!! What is your fav Gun on MW3?